Since 2005, Tutoring Club of Gahanna/New Albany has helped thousands of students in the Gahanna, New Albany, Westerville, and Columbus areas pursue their educational goals and achieve academic success. Our location offers individualized instruction with tutors for almost every subject! We are conveniently located in Gahanna at the corner of Morse Road and Cherry Bottom, in the same shopping center as Buffalo Wild Wings. Our friendly tutors and positive atmosphere are the perfect choice for helping students thrive academically and gain self-confidence. Parents and students have quickly grown to appreciate Tutoring Club's warm, fun and nurturing environment, and they often commend us on our flexibility, customer-focus and results. If you have a student that is getting ready for college, we are no strangers to preparing soon-to-be freshmen with the knowledge that they need to succeed in the busy and challenging life of college with our College Prep Program. 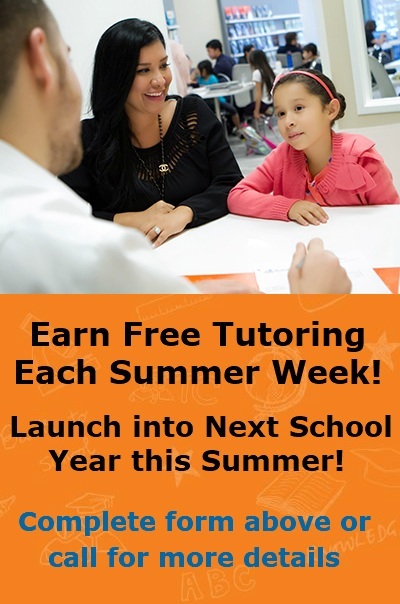 Gahanna Tutoring Club has skilled tutors, many of which have degrees or other experience in their areas. WHO COMES TO TUTORING CLUB OF GAHANNA/NEW ALBANY? Students from schools all around the Gahanna/New Albany area who are chasing dreams and looking for success in their educational pursuits. We help students from pre-K through 12th grades in virtually all subjects. When we hear that a child has moved up from C's to A's, or that reading has become a joy instead of a chore, or that a student is no longer receiving F's, or that a high school junior raised his ACT score 7 points after taking our individualized course, we are incredibly proud. Call us today and help us put your student on a path for a brighter future! Tutoring Club of Gahanna/New Albany is proud to have Jon Rissing as its current Director. Jon began his career in Education as a tutor. He realized his passion for helping students, and he has had great success helping students achieve their educational goals. During his time at Tutoring Club, Jon also excelled as our lead tutor until he took the Director position in 2015. Jon possesses a Bachelor's degree in Mathematics from Grinnell College. He currently lives in Hilliard. When Jon is not working, he likes to spend time with his family, work in his art studio, or play chess.